– a spin-off from the phenomenally successful Twilight saga. And the novel, entitled The Short Second Life of Bree Tanner, is widely expected to become the fastest selling book of the year. 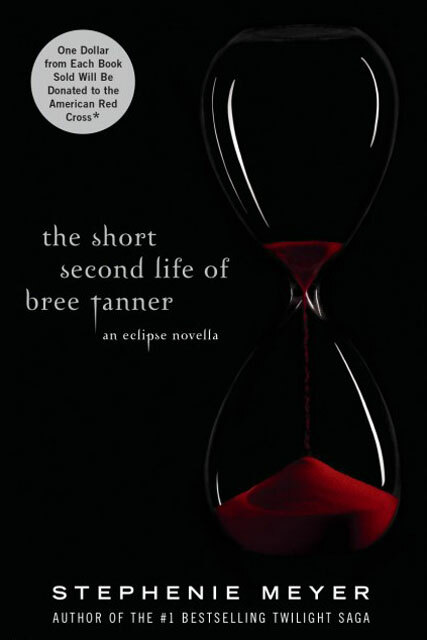 The short novella centres around bit-part character Bree, one of the newborn vampires that features in Eclipse – the third book in the Twilight franchise. Fans will recall the young vampire as being part of the newborn army that rises up against Bella Swan, Edward Cullen and his family. The Eclipse novella is set to be published at precisely 5.05am on 5th June in hardback, and priced £11.99. The book will also be available to read as an e-book online at www.breetanner.com, from 7th June to 5th July, to enable fans worldwide to enjoy the tale. The Twilight books have sold over 45 million copies worldwide – with the first three titles already having been made into films starring Kristen Stewart and Robert Pattinson. The third film, Eclipse, will hit cinemas in July, while filming for the fourth title, Breaking Dawn is set to start in the Autumn. FOR ALL THE LATEST TWILIGHT NEWS, FOLLOW US AT TWITTER.COM/MARIECLAIREUK!